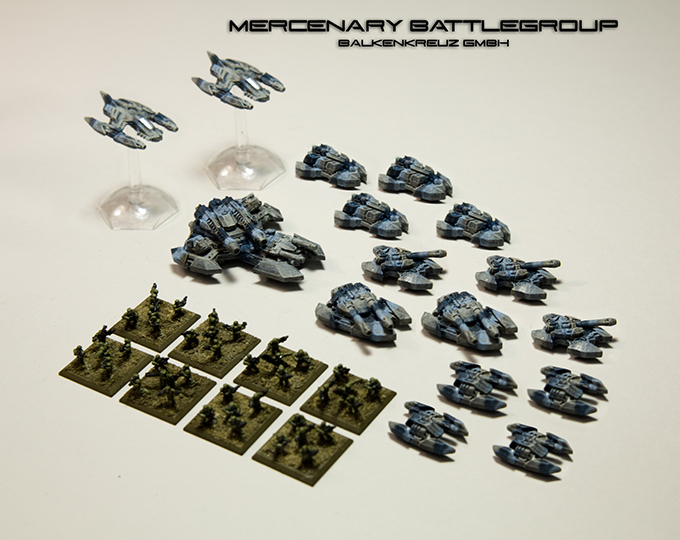 The Mercenary Balkenkreuz GmbH Expansion is a standalone Battlegroup including 6mm models and Combatant Tiles for use with Polyversal's Mercenaries (MERCs) faction or to supplement the highest bidders among UN or OPFOR factions. This Battlegroup totals 650 points if fielded with standard psychological profiles. Led by the feared and well-connected recluse Victor Köenig, Germany-based Balkenkreuz GmbH employs only the most reliable and relentless mercenaries money can buy. Known to work for any group willing to pay enough money, the mere mention of Köenig's involvement in an operation inspries confidence in those hiring him and anxiety in those who must face him. This mixed land and air based battlegroup uses high-tech anti-gravity drives on all vehicles to float above the battlefield for enhanced mobility. The massive and awe-inspiring Valgaross (Plasmablast Games) provides incredible firepower and intimidation as the center of the group. The group relies upon light and fast protection from four Nizzlebats and three Jagons (Plasmablast Games) to flank the sides of the Valgaross and provide recon. 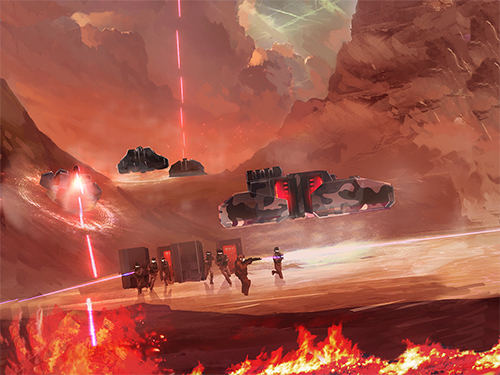 The devastating twin plasma cannons of two Gammaran tanks (Plasmablast Games) provide medium fire support as two Dralke fighters (Plasmablast Games) streak overhead. Four Zargan Armored Personnel Carriers (Plasmablast Games) provide transportation for the 40 Special Forces Infantry (Dark Realm Miniatures). A truly versatile and powerful Battlegroup, these well-equipped mercenaries are ready for action. All models include Combatant Tiles with statistics designed and balanced to work well together as a Battlegroup. Field as a complete group, supplement other OPFOR, UN, or MERC Battlegroups, form Units into Elite operatives, organize special task forces, and more. 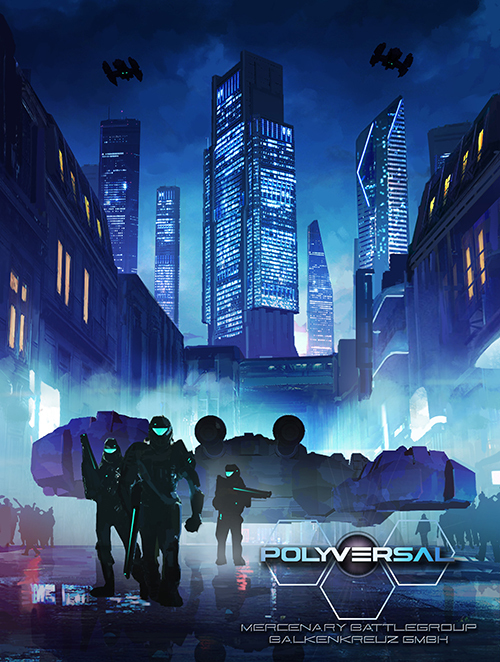 How you employ the MERCs within Polyversal is up to you.